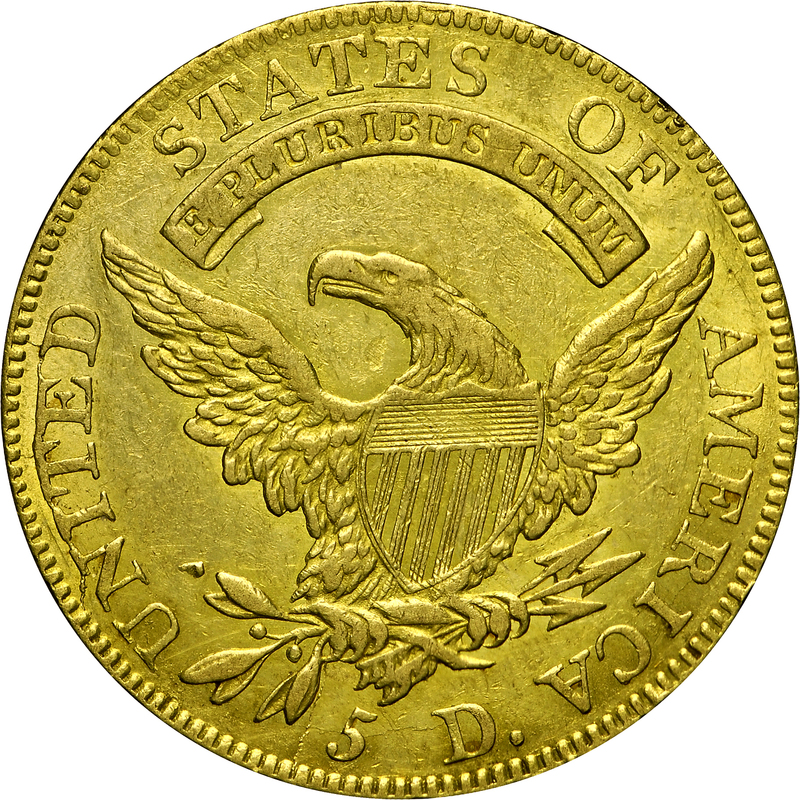 This is the very rare variety with Large Date obverse from the same obverse die as HBCC-3117, mated, however, with a reverse featuring a small 5 in the denomination. In his Complete Encyclopedia, Walter Breen explained that fewer than six were known when his work was published in 1988. Harry Bass had acquired two examples during his collecting years. 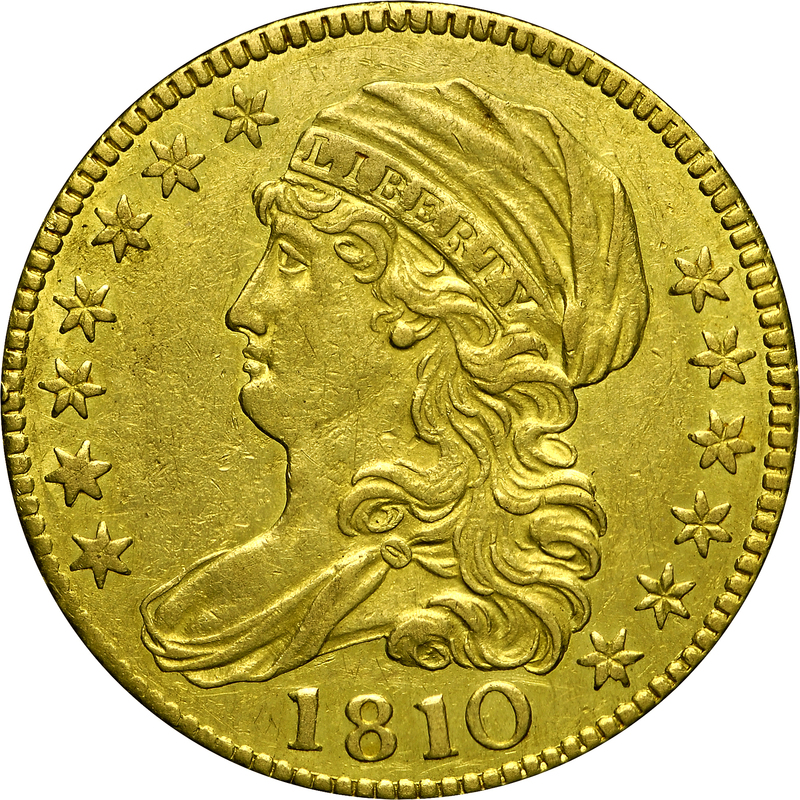 The actual population of this variety is probably in the range of 10 to 12 coins. From the Bowers and Ruddy Galleries sale of the Fairfield Collection, October, 1977, Lot 1758. "Obverse: Large Date. Rust lumps in bottom left curl. 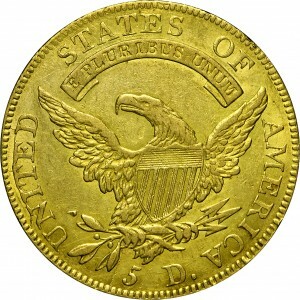 Reverse: Small 5. Heavy crack edge - right top of N - tops of ITED - edge. Crack edge - along side of last leaf - claw. Light crack bottoms of UN - leaves - 5 D - AMERICA. Large talon-shaped rust lump below U at tip of top leaf."